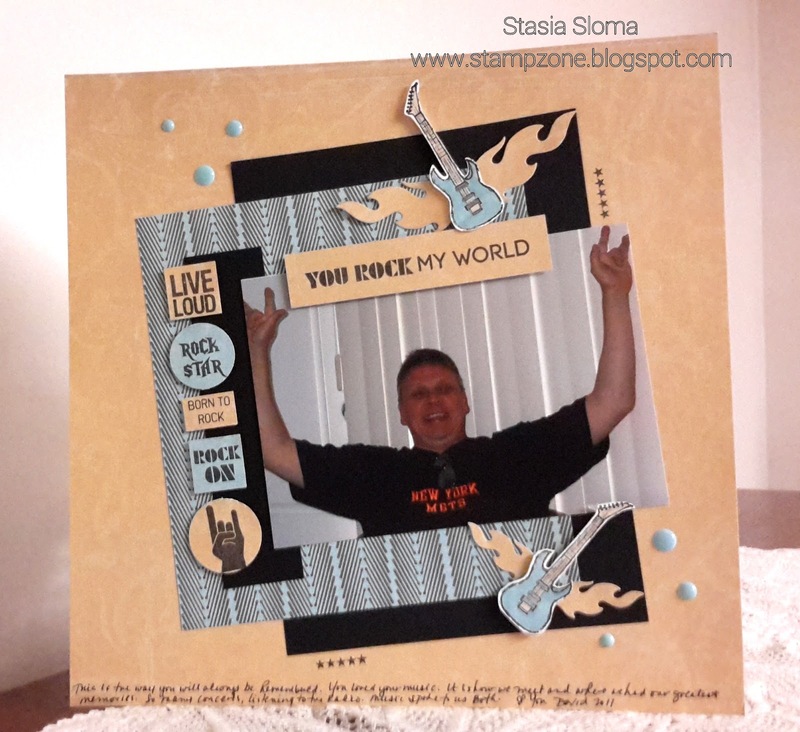 So I have the My Favorite Things Dienamcis Accent It Rock and Roll and Document It Rock on stamp sets for a long time. I have used them on a few cards through out the years, but I was never so happy to have the stamp sets and coordinating die than when I went to create this scrapbook page of my guy. They worked perfectly. There is die cut guitar in the set, but I really like the Epic Celebrations guitar and it gave me a chance to add a little color and detail to the page. The designer series paper is from Crate Paper Route 66. Enamel dots complete the card.